The following Terms of Service govern the motor carrier services provided by Bulkmatic Transport Company. Bulkmatic Transport Company ("Carrier") has adopted and published the following Terms of Service that apply to all transportation provided under a bill of lading. Carrier is authorized by the Federal Motor Carrier Safety Administration (FMCSA) via docket number MC-128205 to operate as a motor carrier. Unless a separate transportation contract has been executed by shipper, consignor or consignee, Carrier accepts all loads under these Terms of Service as a motor carrier. The terms and conditions of the Uniform Straight Bill of Lading found in Appendix A ("Carrier's Bill of Lading") shall apply to all transportation under these Terms of Service notwithstanding the use by shipper of any other bill of lading or shipping document. Drivers are not authorized to bind Carrier to non-conforming bills of lading. Drivers are only authorized to acknowledge receipt of the shipment and any document signed by a driver with alternative terms and conditions will function as a receipt for the shipment only. The rules set forth herein apply to all shipments regardless of the origin or destination and whether interstate or intrastate. The rules published herein are applicable to all shipments transported by Carrier unless a signed written bilateral contract pursuant to 49 U.S.C. §14101(b) has been executed by the parties. Rates and schedules may be published in rate quotes, on a shipper specific basis or pursuant to a spot market rate quotation. Upon request, Carrier will provide its customers and shippers with copies of these Terms of Service and published rates. Further, these Terms of Service are available on the Carrier's regularly maintained website. Upon tender of goods to Carrier the shipper agrees to use Carrier's service to transport shipper's freight between points in the United States, Mexico or Canada. Carrier, upon receipt of shipper's goods, whether directly from shipper or from a third party, agrees to transport and carry such goods with reasonable dispatch and to deliver them in like good order and condition to such consignees and at such destinations as shipper shall designate. If shipper tenders loads on behalf of its parents, subsidiaries or related companies or is the entity arranging shipments for such parents, subsidiaries or related companies, then those loads tendered to Carrier shall be subject to these Terms of Service. Carrier, in performing the transportation services contemplated by these Terms of Service, shall be an independent contractor and not an agent or employee of shipper. Shipper shall have no control over the method or manner of providing such services. Carrier, by accepting the tendered cargo, agrees to furnish, at its own expense, suitable trucks, tractors, and trailers to transport the cargo tendered to it and to assume all costs and expenses incident to the transportation of such cargo, including, but not limited to, all costs and expenses incident to or arising out of maintenance, repair, or operation of equipment, labor, fuel supplies, and insurance. The Carrier's Bill of Lading shall govern all transportation under these Terms of Service notwithstanding the use by shipper of any other bill of lading, shipping document or receipt. Carrier agrees, upon receipt of shipper's product to give shipper a written receipt, which may be the Carrier's Bill of Lading or other document, which shall constitute prima facie evidence of the receipt of such goods in apparent good order, unless the condition of said goods shall be otherwise noted upon the face of the written receipt. The Carrier's Bill of Lading and these Terms of Service shall prevail over those appearing on any written receipt, other form, or bill of lading issued by shipper, consignee, consignor, or any other third party and such document shall only be used as a receipt for the purpose of documenting the pick-up and delivery of freight and any over, short & damaged goods. Unless specifically agreed to by the parties, any joint movement involving another transportation entity to or from a point outside the U.S. shall not be considered as moving on a "through" bill of lading. Carrier shall not be liable for any loss, damage or delay in delivery of the cargo originating at a point in or destined to a point in Mexico occurring while in the possession or under the control of a Mexican carrier, freight forwarder or customs broker, regardless of whether such Mexican carrier was selected, interlined and/or subcontracted by Carrier, shipper or any other party. Receipts and the Carrier's Bill of Lading shall be signed by the party to whom Carrier makes delivery and Carrier shall retain receipts for at least two (2) years following delivery. Upon request Carrier shall make Carrier's Bill of Lading and receipts available to shipper for inspection and copying upon reasonable notice. If the shipper loads and seals the cargo in or on the trailer and Carrier does not have the opportunity to inventory the cargo and the seal is intact upon delivery, Carrier shall be absolved from any liability for shortages or any damage to the cargo. Carrier shall not be liable if the seal is (1) broken at the direction and under the supervision of an agent of a state, federal or local government agency, or (2) the trailers are preloaded and the adequacy of the loading or count or weighing of such trailer is not practical by a representative of Carrier. Carrier may breach the seal on the trailer to inspect, reposition, or protect the lading or Carrier's equipment or to comply with federal, state, municipal or provincial laws, rules and regulations. Should it become necessary to do so the Carrier will notify shipper in advance should a seal need to be broken to reposition or protect the lading, or if an emergency as soon as it is safe to do so, and should an inspection take place at the direction of any government agency, Carrier will notify shipper as soon as possible. Carrier will request the inspecting agency to reseal the trailer and make appropriate notations on the freight documentation receipt. Shipper and its consignee may not refuse delivery of a shipment solely because one or more seals on the trailer are broken. (a)	Where the shipper or consignee requests transportation of the shipment over a particular route longer than the shortest route, the mileage over the longer route will be used for computation of charges. (b)	If operation over the shortest or specified route is not feasible because of operating hazards, load limitations of highways or bridges, underpasses or other highway limitations, the mileage computed over the actual route of movement of the shipment will apply. (c)	When shipments move under special permits as required by or obtained from a federal, municipal or state regulatory body or commission, which specifies the route to be traveled by the motor vehicle, the mileage to be used will be for the mileage via the route specified in the special permit. (a)	The shipper, in ordering equipment, shall specify the commodity and the type of tank trailer required to satisfactorily transport the commodity and the Carrier will make a diligent effort to provide the suitable equipment. (b)	Inspection and acceptance by the shipper of equipment offered by the Carrier shall be deemed that the equipment is suitable for transportation of shipment tendered to Carrier at that time. The transportation of Hazardous Materials, as defined in the Hazardous Materials Transportation Act, 49 U.S.C. §5101 et seq., as amended, shall be handled in accordance with said provisions and the regulations of the U.S. Department of Transportation made thereunder. Carrier is fully qualified and authorized to transport Hazardous Materials in the United States. By tendering a Hazardous Material load, shipper certifies that it is familiar with U.S. laws and regulations applicable to transportation of Hazardous Materials and that it will comply with all such laws and regulations. Carrier, by accepting said load, certifies that its employees, including drivers, have been trained and instructed in the proper method of transporting Hazardous Materials. Upon Carrier's request, shipper will provide a copy of the Material Safety Data Sheet for the Hazardous Materials. Shipper shall upon reasonable notice and during normal business hours have the right to inspect Carrier's equipment and facilities and reject any that do not meet shipper's quality or safety standards. The processing, investigation, and disposition of overcharge, unidentified payment, duplicate payment, or over collection claims shall be governed by 49 C.F.R. Part 378. Carrier and shipper must commence any civil action or binding arbitration proceedings to recover any overpayment, underpayment or duplicate payment within eighteen (18) months of the delivery or tender of delivery of the shipment at issue. If Carrier alleges undercharges, or shipper alleges overcharges, duplicate payment or over collection, then notice of such claims must be given within 180 days of receipt of the invoice and a civil action or binding arbitration must be filed within eighteen (18) months of delivery or tender of delivery of the shipment at issue. a. Carrier shall not be liable to shipper for loss or damage to the cargo occurring while it is in Carrier's possession to the extent such loss or damage is caused by an act of God or a public enemy, public authority, an act of shipper, or the inherent vice or nature of the cargo. Carrier's possession for the purpose of liability under this provision shall begin once Carrier executes the documentation and takes possession of the cargo and shall terminate upon delivery to shipper or shipper's consignee. Carrier shall not be liable to shipper or other third parties for special, incidental, or consequential damages that relate to loss, damage, or delay to a shipment or any other type, including without limitation lost profits or business opportunity. In no event shall Carrier be liable to shipper or any third party for punitive or exemplary damages. b. Released Valuation/Simplified Pricing: Unless otherwise agreed in writing, all rates quoted for shipments are subject to a maximum cargo liability of $1.25 per pound per article or $50,000.00 per truckload shipment, whichever is less. The parties may modify this liability and agree to other alternative release value rates as stated below. c.	Alternative Rates Available: Shippers may obtain rates for shipments with higher release values than those indicated above from Carrier by inquiring directly with Carrier prior to pick-up of the shipment by the Carrier. Any such alternative rate shall be reflected by a written rate confirmation agreed upon in writing or electronically confirmed by facsimile, e-mail or other electronic acknowledgement separately outlining the higher released value applicable to the shipment and the alternative rate. d.	Inadvertence Clause: If a shipper declares a value exceeding $1.25 per pound per article or $50,000 per truckload without having received a separate written confirmation from Carrier the shipment will not be accepted, but if inadvertently accepted, it will be considered as being released to a value of $1.25 per pound per article or $50,000 per truckload, whichever is less, and the shipment will move subject to such limitation of liability. e.	All claims will be filed and resolved in accordance with 49 C.F.R. Part 370. Claims for loss or damage shall be filed within nine (9) months of the date of delivery, or in the event of lost cargo, the date of expected delivery, or in the absence of a scheduled delivery date, when a reasonable time has elapsed for delivery. Failure to file a timely claim will result in the claim being barred. Any arbitration or civil action shall be commenced by shipper within two (2) years from the date Carrier provides Shipper written notice the claim has been denied or will not be paid. f.	Disputed cargo claims will be subject to 49 U.S.C. §14706 (the Carmack Amendment) subject to any applicable released valuation. Shipper and consignee waive any right to setoff or offset of contested and unliquidated cargo claims against freight charges otherwise due to carrier as a precondition of service. Shipper and consignee agree to forfeiture of any contested claim asserted by it as a setoff after notice and demand for freight charges. Carrier does not accept liability for loss or damages to shipments under transport in the Republic of Mexico. Shippers are advised that liability for cargo loss in the Republic of Mexico differs from U.S. law and the special arrangements with Mexican carriers participating in any trans-border movement is not the Carrier's responsibility. By tendering cargo for acceptance by Carrier and acceptance of that cargo by the Carrier the shipper agrees to defend, indemnify and hold Carrier harmless from any and all losses, damages, fines, liabilities, expenses, actions, suits, proceedings and claims for personal injury or death, and loss or damage to tangible business or other property to the extent that any such injury, death, loss or damage is caused by shipper's acts or omissions or those of its employees or agents and arises out of the performance of a duty or obligation subject to these Terms of Service. The duty of the shipper to defend shall arise immediately and be an ongoing obligation of shipper during the pendency of any claim, arbitration or other cause of action. Nothing in these Terms of Service shall require the Carrier to pick-up or deliver freight at origin or destination points at which, on account of condition of an act of God, an act of public enemy, or insurrection, riot or other civil commotion, terrorism, government order or regulation, strike, lock-out, work slowdown, power or fuel shortages, or alleys, streets, roads or driveways, it is impracticable to operate Carrier's vehicles or other cause beyond the reasonable control of such party. Shipper, upon receipt of bills or invoices presented by Carrier, shall pay to Carrier, or shall cause payment to be made within 30 days to Carrier for all transportation services performed hereunder, such bills or invoices and such payments will be consistent with the rate quoted to Shipper and agreed upon in a writing or electronically confirmed by e-mail, facsimile or other electronic acknowledgement. Carrier must commence any civil action or binding arbitration proceedings to recover any unpaid invoices within eighteen (18) months of the delivery or tender of delivery of the shipment at issue. Carrier may assess interest for unpaid balances at a rate of 1.5% per month (or the highest lawful rate, if less) for any delayed payments. If Carrier is required to hire legal counsel to collect on indebtedness then shipper shall pay all reasonable attorney fees, costs, and expenses of collection along with pre-judgment and post-judgment interest. Any billings made to third parties at the shipper's request or direction for freight or related charges for transportation shall remain the responsibility of the Shipper. Carrier does not waive recourse against shipper, or its consignees, brokers, agents, pay agents or other third parties. Shipper is primarily responsible for payments due to Carrier. Carrier shall have a possessory lien on all shipments in its dominion and control for payment of freight charges past and present. Carrier and/or shipper's duties shall be suspended or excused to the extent inability to perform is the result of an act of God, an act of public enemy, or insurrection, riot or other civil commotion, terrorism (foreign or domestic), government order or regulation, strike, lock-out, work slowdown, power or fuel shortages, local or national disruptions to transportation networks or operations, or other cause beyond the reasonable control of such party. Lack of funds shall not be considered an event of force majeure. The party declaring force majeure shall promptly notify the other of the nature of the condition and the commencement and cessation thereof. On resumption of operations, any affected performance by such party shall be resumed and shipments adversely affected by suspension shall be delivered with reasonable dispatch upon resumption of operations. No liability shall be incurred by either party for damages resulting from such suspensions under this provision. By tendering freight to Carrier the shipper agrees that any and all disputes for an amount in controversy of less than thirty thousand dollars ($30,000.00) arising out of this agreement, associated documents, and any and all other dealings of whatever kind or character between the parties to this agreement shall be resolved by binding Arbitration. a. Shipper and Carrier agree that these Terms of Service involve interstate commerce and are subject to the Federal Arbitration Act at 9 U.S.C. § 1 et. seq. The parties agree that cargo value for the purposes of determining the applicability of this section only is determined by the value stated on the invoice from the shipper to the consignee. Past due freight invoices may be aggregated to determine the total amount in dispute. b. JURY TRIAL WAIVER: Shipper and Carrier agree to mutually waive their right to a jury trial in all disputes, notwithstanding the amount in controversy or the forum in which it is decided. Such waiver is voluntary and both parties to this agreement understand this waiver is irrevocable. c.	All disputes subject to this agreement to arbitrate shall be heard before a single arbitrator and subject to the rules of the Transportation ADR Council and shall be final and binding. The award of the arbitrator may be entered in a court of competent jurisdiction upon conclusion of the arbitration. The parties may mutually agree in writing to another arbitration method, but this agreement shall control unless a written agreement is reached to the contrary regarding the method of arbitration. A)	Except as otherwise specifically provided, when due to no disability or fault of CARRIER, the loading or unloading of freight at or on the premises of the consignor or consignee, or at place designated by the consignor or consignee, for receipt of delivery of freight is delayed, the provisions of this item apply. B) If the loading of freight is delayed beyond the free time of 2 hours, the detention charge of $100.00/hour will be billed. If the unloading of freight is delayed beyond the free time of 2 hours, the detention charge of $100.00/hour will be billed. C)	Computation of detention shall commence beginning with the time CARRIER’s unit arrives at the loading/unloading site and ending with the time the unit leaves the loading/unloading site. A) SHIPPER, in ordering equipment, shall specify the commodity and the type of trailer required to satisfactorily transport the commodity, and CARRIER will make diligent effort to provide the suitable equipment. B)	Upon inspection and acceptance by SHIPPER of equipment offered by CARRIER, it shall be deemed that the equipment is suitable for the transportation of shipments by CARRIER. C)	CARRIER will make available to SHIPPER at any time the last product contained in the trailer. D)	SHIPPER maintains the right to inspect and reject equipment not meeting SHIPPER’S requirements. Nothing in this schedule shall require CARRIER to pick up or deliver freight at origin or destination points at which, because of the condition of alleys, streets, roads, or driveways, it is impractical to operate CARRIER’S vehicle. Rates and provisions named in this schedule, or as amended, are limited in their application on interstate or foreign commerce to the extent of the operating rights as authorized by the Interstate Commerce Commission set forth below. Unless otherwise specifically provided, the provisions are to be interpreted in the same manner as the Commission interprets the permit from which they are quoted, with respect to such as implied authority, commercial zones, and diversion routes. The rates named in this schedule include pickup or delivery service at all points within the limits of the cities, towns, villages, and other points from and to which the rates apply, and include, as to any shipment, only one pickup and one delivery. CARRIER reserves the right to apply surcharges, i.e., fuel, but not limited to, from time to time, as approved by the ICC. SHIPPER will be notified of such surcharges in writing. A)	When transportation service is performed on shipments picked up or delivered on Sunday per SHIPPER’s or consignee’s request, the rates in this tariff will be increased by $150.00. When transportation service is performed on a holiday, the rate will be increased by $150.00. B)	In the event that a holiday occurs on a Sunday, the following Monday will be considered as the holiday. C)	When a holiday occurs on a Saturday, the preceding Friday will be considered a holiday. D)	Holidays consist of: New Years Day, Memorial Day, 4th of July, Labor Day, Thanksgiving Day and the day after, and Christmas Day. If, for any reason, a shipment that was transported outbound by CARRIER is returned by the consignee at destination, it may be returned to the point of origin upon order of SHIPPER, and a charge of ½ the outbound rate will be assessed. A)	The term “reconsignment or diversion” means a change in the name of consignee and/or destination of the entire shipment, except as otherwise provided herein, or any other instructions given to CARRIER requiring an addition to or change in billing necessary to affect delivery or involving an additional movement of the truck or both. B)	A charge of $150.00 will be made for reconsignment, or point rate, plus $2.50 per mile (minimum charge $200.00) for all out of route miles, if any. “Out of route miles,” as used herein shall be defined as any miles driven beyond the round trip miles of original movement. C)	When a truck arrives at the originally billed destination and is requested to stand by for reconsignment instructions, the time consumed while waiting for orders will be considered as detention and no free time will be allowed. D)	When CARRIER is requested to perform service and dispatches a vehicle and such is not used, due to no fault of CARRIER, a charge of $2.50 per mile or a minimum charge of $200.00, whichever is greater, will be assessed, computed from the return mileage. When CARRIER is requested to perform service and dispatches a vehicle to the point of origin designated by the SHIPPER and such equipment or service is not used, due to no fault of the CARRIER, a charge of $100.00/hr, or fraction thereof, subject to a minimum charge of $200.00 or $2.50 per running mile, whichever is higher, will be assessed, computed from the time the vehicle left CARRIER’s terminal until it returns to CARRIER’s terminal; plus $150.00 cancellation fee. Note- Charges in this item do not apply when equipment or service ordered and not used due to acts of God, the public enemy, the acts of public authority, quarantine, riots, or strikes. If, for any reason SHIPPER or consignee requests CARRIER to spot a trailer, a spotting fee of $150.00 will be charged, plus $2.50 per mile, if applicable, plus any applicable non-use charges. When SHIPPER or consignee requests CARRIER to layover or CARRIER is required to layover due to no fault of the CARRIER, the charge per work period will be $500.00 for a single driver and $900.00 for a team, charges to be billed to the SHIPPER. Plus $200.00 per work period for trailer. If CARRIER is required to scale off-site for any reason, a fee of $20.00 per scale ticket will be charged, plus waiting time will apply to detention, and $3.00 per mile (minimum charge $100.00) for all out of route miles. Shipments will be subject to the actual toll charges incurred. $350.00/day for a self loader. If CARRIER has to bobtail (operate a tractor without a trailer), the per mile charge will be $2.00/mile, minimum charge of $250.00. 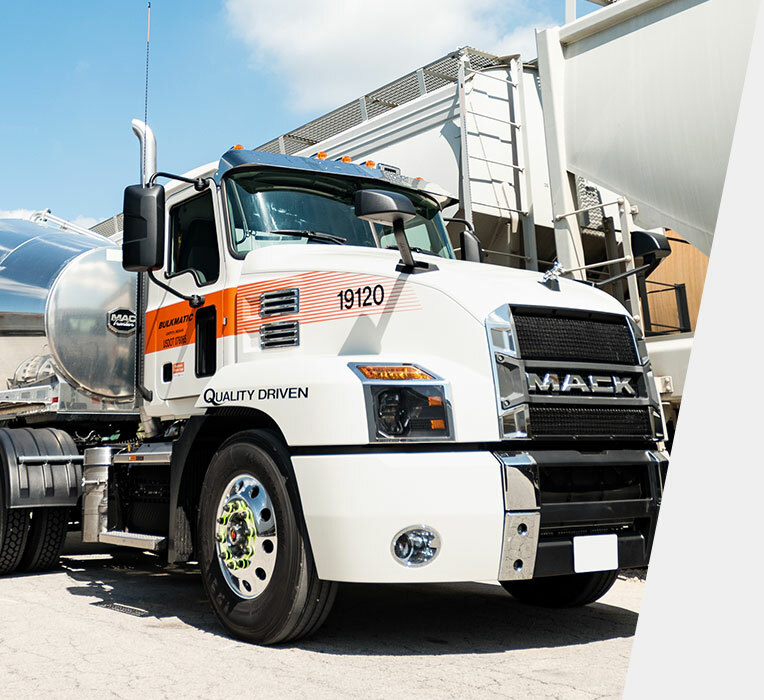 When CARRIER is required to provide a driver, tractor, and trailer to perform intraplant service, services will be provided for a rate of $100.00 per hour, subject to a 4 hour minimum, plus a charge of $2.50/running mile for travel to and from the nearest terminal, minimum charge of $250.00, plus applicable cleaning. Plus any on site transfer if required. A $150.00 flat fee will be charged for all loads destined for Canada. Rate includes 1 hour for entry and 1 hour for exit at the border. Anytime beyond will be charged at detention rates. 22.1 Unless a separate Transloading contract has been executed by shipper, consignor, consignee, the owner of cargo or other third party using transloading services provided by Bulkmatic Transport Company ("BTC" also referred to as "Carrier" in paragraphs 1-21) the following terms and conditions shall apply as to BTC and the party ordering the transloading service. 22.2 When providing only transloading services BTC is not providing services as a motor carrier. BTC shall be authorized to issue a Bill of Lading for each shipment on behalf of the shipper/owner of the cargo and such Bill of Lading shall be in the same form as the Carrier's Bill of Lading identified in paragraph 2. 22.3 Transloading operations shall be governed by this Paragraph 22 and paragraphs 5, 11, 13(a), 13(e), 16, 17, 19, 20, 23 and 24 as if those terms were fully set forth herein. 22.4 Indeminification: By tendering cargo for acceptance by BTC for transloading and acceptance of that cargo by BTC the shipper and owner agrees to defend, indemnify and hold BTC harmless from any and all losses, damages, fines, liabilities, expenses, actions, suits, proceedings and claims for personal injury or death, and loss or damage to tangible business or other property to the extent that any such injury, death, loss or damage is caused by shipper's or owner's acts or omissions or those of its employees or agents and arises out of the performance of a duty or obligation subject to these Terms of Service. The duty of the shipper or owner to defend shall arise immediately and be an ongoing obligation during the pendency of any claim, arbitration or other cause of action. 22.5 Liability Limitation: By tendering cargo for acceptance by BTC for transloading the shipper and owner of the cargo agree that BTC's liability shall be limited to the invoice value of the cargo or $50,000.00, whichever is less. All Bulkmatic operated rail yards are open to outside carriers. The services and fees outlined in the following section will be charged either to the carrier entering the facility or the shipper of the product on hand. Hazardous materials transfers require two people be present while transferring product. When Bulkmatic Transport supplies the second man to assist the loader a charge of $65.00 per load will be charged. A fee of $100.00 per truckload shipment will apply. This fee accounts for rail car inbound/outbound inspections, sealing, rail car inventory, reporting, BOL preparation, and truck scaling (when the scale is at the railyard). Bulkmatic Transport provides blending or bubbling services to products in rail cars. Charges are determined upon the service requirements. Bulkmatic Transport supplies daily transactions reports via email at no charge. If copies of scale tickets, bill of ladings, or additional load paperwork is required to be faxed a charge of $10.00 per fax will apply. When application of a nitrogen blanket is required a fee of $65.00 per load will be applicable. When terminal personnel are required to operate beyond normal business hours overtime charges will apply. Monday through Friday a charge of $65.00 per hour will be assessed. When terminal personnel are called out a charge of $65.00 per hour with a four-hour minimum will apply. When rail car sampling is requested, a charge of $15.00 per compartment will apply for a 5 pound or less sample. Larger samples, packaging, shipping charges, etc. will reference actual cost of supplies plus sampling charges. A charge of $20.00 per scale applies when the service of scaling is requested at a Bulkmatic Transport operated rail yard. Rail cars that contain products that require heating will be subject to a $75.00 per hour charge. The following storage charges will apply to Bulkmatic owned and leased transload facilities. Any term or provision that is held to be invalid or unenforceable shall, as to the jurisdiction in which it is invalid or unenforceable, be ineffective to the extent of such invalidity or unenforceability without rendering invalid or unenforceable the remaining terms and provisions of these Terms of Service or affecting the validity or enforceability of any of the terms or provisions of these Terms of Service in any other jurisdiction. The captions in these Terms of Service are for convenience only and shall not have any effect on the meaning of the Terms of Service.